The Havit HV-MS728 gaming mouse was so good that we’re doing another review on the wireless version Havit HV-MS995GT. 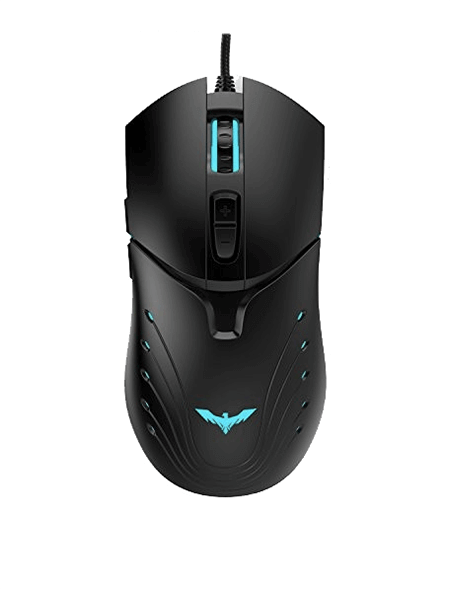 In fact, the Havit HV-MS728 is the best mouse you can buy in the entry-level price range in the bustling gaming mice market. For those of you that missed out on our earlier review of the Havit HV-MS728 gaming mouse, this review is going to touch on the technical aspects that make this a stellar performing mouse. Then we’re going to get into how Havit really took the HV to the next level with their wireless version of the HV mouse. First off, this mouse is incredibly easy to install and it took me less than 5 minutes on my PC. The software allows you to customize your gaming profiles, choose settings for the perfect amount of buttons, and customize several advanced lighting and color settings. The Havit equipped the HV with 6 distinct DPI settings, which are easy to switch with a dedicated DPI button. With a built-in memory function, you don’t have to have the software installed on your friend’s computer to use the settings you’ve already programmed into the mouse. This is especially nice for any gamer that’s traveling a lot or using multiple computers to game. The Havit HV-MS995GT is an extremely fast and accurate mouse for the price. It has a return rate of 1000Hz and a Refresh rate of 4000 frames/second. The maximum accelerate rate is 20G, which makes the Havit HV-MS995GT one of the fastest and most accurate mice we’ve reviewed to date within the entry-level price range. But don’t be fooled by the affordable price of the Havit HV-MS995GT, this mouse is certain to work wonders for gamers of all levels. I consider myself a semi-professional gamer with the experience of using dozens of gaming mice on a monthly basis. 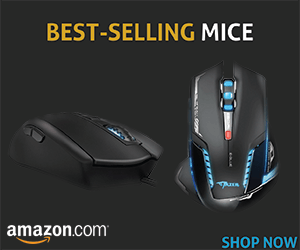 So when I say this mouse is one of the best cheap gaming mice on the market, I mean it. The mouse is a joy to use and it truly feels like a professional gaming mouse when you pick it up. Weighing in at 5.6 ounces, the Havit HV-MS995GT is a sturdy and durable mouse that doesn’t fall short of professional-grade materials. The simple, straightforward design is a pro in my opinion because it executes a comfortable ergonomic design during long gaming sessions. I feel that the buttons have been improved a lot from the wired model. I personally used the mouse in World of Warcraft for over three hours just before going to see the Warcraft movie in the theaters. Havit used an anti-skid silica gel on both sides of the mouse to provide a firm and comfortable grip. In fact, by the end of the three-hour gaming stretch, I found myself glued to the mouse. That’s how comfortable it was. The color LED lights top this design off in addition to the Magic Eagle light up. Havit designed this mouse to have up to 16 million different color options. I don’t think anyone’s going to be running out of color combinations at any point of using this mouse. The breathable mode can be adjusted via driver and really emits a nice aurora of gaming intensity. Now, let’s get into what makes the Havit HV-MS995GT wireless mouse so much better than the plug-and-play version. First off, let me just say that any wireless mouse is going to run the fear of connectivity problems and reliability. The mouse shares none of these problems with other wireless mice in its price range. I had no problems keeping the mouse connected but I must say that I had a lot of problems with accuracy and speed while I was playing CS:GO. 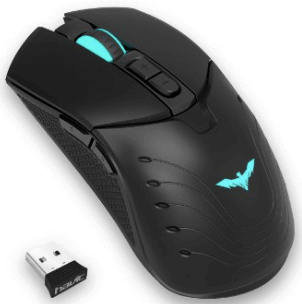 A wireless mouse not only gets rid of that annoying long cord, but it’s also more convenient, transportable, and if you’re using a huge monitor to game then you have to worry about buying an extra mouse extension cable to compensate for the short cable this mouse has. Another common fear of wireless mice in the gaming industry is that they can die during gameplay. That’s a legitimate fear for all of us gamers. There’s nothing worse than becoming helpless during gameplay when your mouse dies and having to struggle to reorient yourself to the notoriously inaccurate trackpad devices—or even worse—no alternative at all. The wireless version uses a lithium battery (800mA) to power itself, which can be recharged in under an hour. Havit has really thought of everything to prevent power-less accidents from disrupting gameplay. To activate the power-light settings you can push a button on the button of the mouse where there are three options: ON, OFF, and ON/light. Switching the mouse to ON/light will activate the mouse’s power indicator light settings. Whenever the mouse is approaching low power, the logo and scroll LED indicator will begin to flash. When it’s on a full charge, a red LED light will flash on the scroll button. In the charging state, the scroll flashing red LED turns into green. What is the battery life in wireless mode ? at 250hz or 500hz rate ? Depends on how you use it. The mouse worked fine for 6 days on one charge. And in gaming mode at 500hz Rate ? What sensor it uses? Thank you.